From the creators of the Halo series, Bungie, comes Destiny 2. This series was actually hinted at way back in Halo 3: ODST, before the series was announced to the public. It’s appropriate that another Bungie-developed first-person shooter would control similarly to Halo, and you’ll feel right at home with this game’s shooting mechanics. However, Destiny 2 is far from being a clone of Halo. 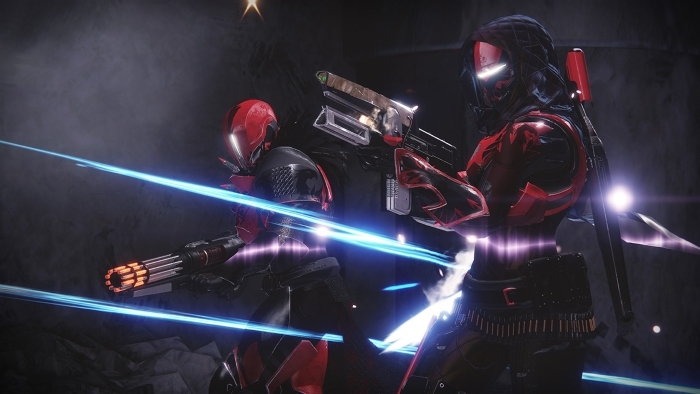 Destiny 2 borrows a lot from the MMORPG genre, with its inclusion of raids and emphasis on increasing ones power level, which is essentially ilevel. Fans of Halo’s co-op campaigns may want to give this game a shot, as raiding alongside a few buddies can be super fun. There’s a PvP mode, too. If you’re looking for a game that features a similar sci-fi aesthetic to Halo then you might want to try Titanfall 2. The first-person shooting mechanics are similar to what you’ll see in Halo (plus a bit of parkour), but it has one awesome mechanic that sets it apart from most other games in the genre: the Titans. Climb into a mech-like Titan and you become a killing machine, literally! The pilots control very fast and twitchy, whereas the Titans feel like tanks. It’s a really cool gameplay shake-up. 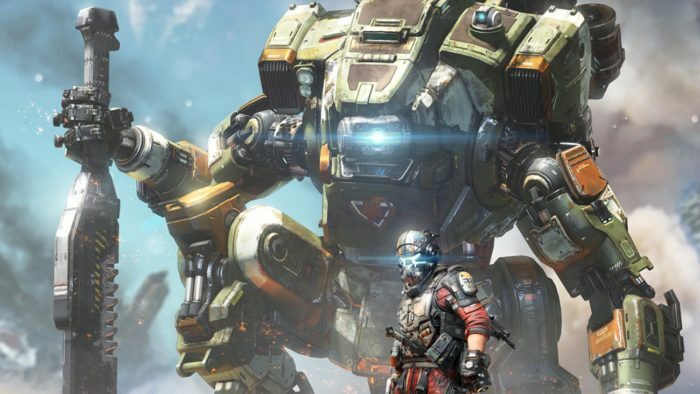 The original Titanfall was predominantly multiplayer, but Titanfall 2 includes a single-player campaign, if that’s your thing, that follows a mission-based structure similar to Halo. If you’re just looking for a good multiplayer, Titanfall 2 definitely has you covered. You have your usual game modes like Capture the Flag and Free For All, but also some unique ones like Last Titan Standing and Attrition. Doom 1 and 2 were slow, explorative FPS games. 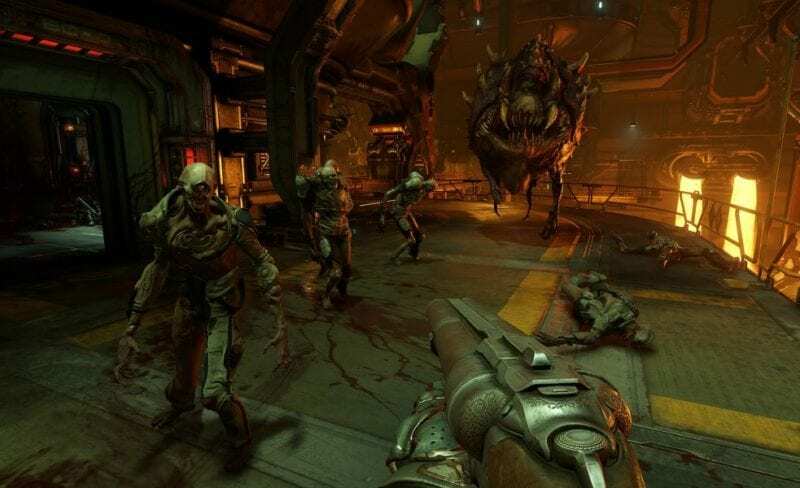 Doom 3 was more of an atmospheric horror FPS. The new Doom is straight-up action, making it very similar to the newer Halo games. One thing that Doom has over Halo is the amount of gore. Sooooo much gore. This one isn’t for the squeamish! Doom’s greater focus on the action is what made it just a great game when it released. It brought back the enemy types from the previous Doom games but turned them into beautiful HD polygons, and it’s so much fun to just blow them to pieces, rip them in half by their jaws, or pop their eyes out. The killing never really gets boring, because there is a good variety of weapon types to mess around with. And let’s not forget that rocking soundtrack! 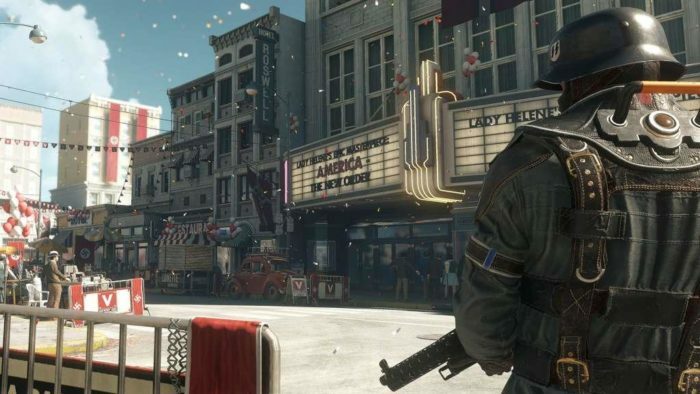 Wolfenstein II: The New Colossus is a game where your main enemy is the Nazis, but not in the usual way. It doesn’t recite the events of World War II, but explores a world in which the Nazis defeated the Allied Powers, continuing the narrative of 2009’s Wolfenstein and The New Order. Some of this game’s cutscenes need to be seen to be believed. 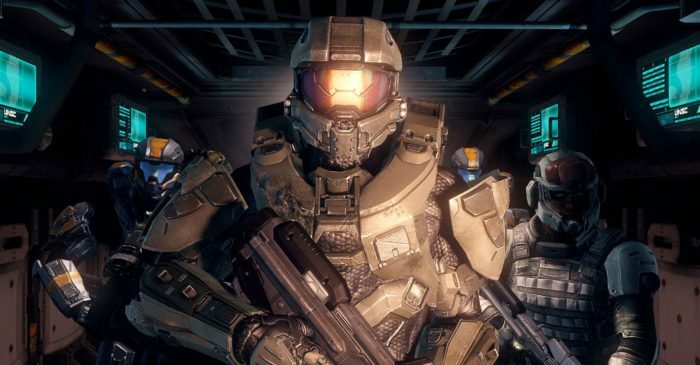 It’s a difficult first-person shooter, incorporating systems from FPS games of old, such as a health system, which player’s of the original Halo will be familiar with. Wolfenstein II uses the same mission-based structure as the Halo games, and is another one that is recommended for fans of single-player campaigns. The Killzone series was Sony’s answer to Halo. Its futuristic sci-fi setting will feel right at home. 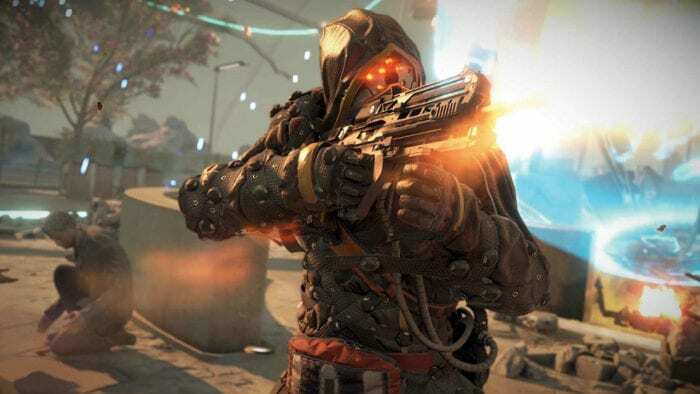 Killzone: Shadow Fall pulled away from the typical warzone setting that the series was known for, and features a more open-ended level design. You’ll be alone throughout the majority of the single-player campaign, similar to the Master Chief. Killzone: Shadow Fall has an online multiplayer mode that initially launched with 10 maps, but also allows you to create your own custom maps. Downloading the game’s Intercept DLC will give you access to a four player co-op mode similar to Firefight. It all comes full circle. The original Half-Life is one of the most influential games in the first-person shooter genre, and it is likely that the Halo series never would have existed if it weren’t for Half-Life. Although the original is still great, the sequel topped it in almost every way, and is often considered one of the best video games of all time. The numbers don’t lie. Half-Life 2 is set in a dystopian world taken over by the multidimensional empire known as the Combine. You have to fight your way through the alien infested world to take back humanity’s freedom. The companionship between Gordon Freeman and Alyx Vance kind of reminds me of that of Master Chief and Cortana. 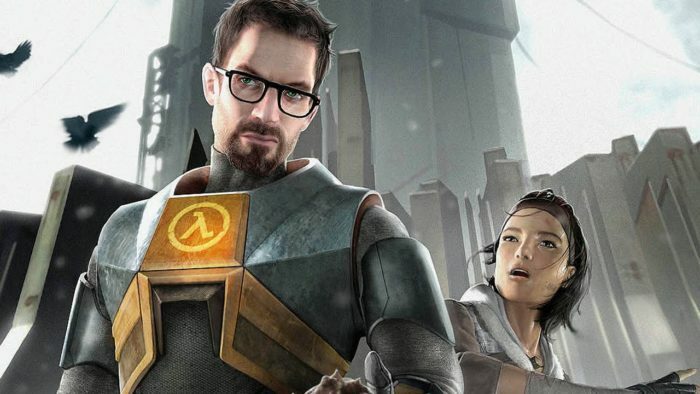 The entire Half-Life series is available to download on Steam. Half-Life 2 and its two episodes are also included on The Orange Box for Xbox 360, PS3, and PC.